As wellness programs gain a foothold in corporate culture, their programs and offerings are ever expanding. Corporate wellness programs have many options for you to choose from. Every workplace is different and deserves a custom approach to health and wellness. Employees have been able to take advantage of weight loss programs, smoking cessation programs, and a variety of health risk assessments and educational information. Employers have been able to enjoy wellness programs as well as their high ROI, which benefit everyone involved. One great program within a quality corporate wellness program is health coaching. Health Coaches are an important part of anyone’s journey to greater wellness and better health. Great programs can sound tempting to many employees, but many need encouragement and support to stay consistent in their commitments. Accountability is a key element as employees attempt to make healthier choices and get involved. Health Coaches will be that personal connection to employees to support them in continuing on the journey. Any corporate wellness program with a personal touch is guaranteed to succeed. Employees will be happier and the wellness program will benefit everyone in the long run. Why Have a Health Coaching Program? There are many wellness programs out there that just aren’t working. Anytime you introduce something new into the workplace, it’s important to make sure employees understand why it is beneficial. Health Coaches can be a personal touch to a new program that could otherwise feel impersonal or uninteresting. Everyone needs a little encouragement. Having engaged and excited Health Coaches can help employees see that you are serious about positive change in the workplace. Employees can schedule personal meetings with their Health Coach using the health coaching dashboard. You can also incorporate Health Coaches into other events like health fairs and completing health risk assessments. We’ve only seen positive things happen when Health Coaches get involved. Health coaching dashboards makes communication easier for everyone. If you’re looking for a way to get your employees engaged in your wellness program, using Health Coaches and our health coaching dashboard, Coach’s Corner, may be just what you need. The dashboard can help facilitate communication and relationship between employees and Health Coaches. Health Coaches will always be focused on mentoring and keeping each employee accountable while helping them to accomplish their health related goals. The health coaching dashboard can be used for personal communication, support and encouragement, reminders about personal goals or events, or for sharing helpful and educational information. If you’re considering adding a health coaching element to your wellness program, contact Wellworks. 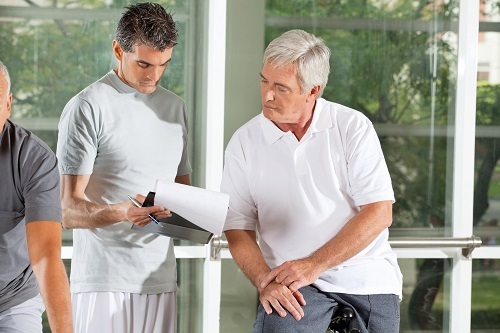 We can discuss your options and see if Health Coaches could benefit your program.